Leah: Next, I talk with leaders of Ogema Organics. I met JoDan Rousu and Bridget Guiza at the 16th Annual Indigenous Farming Conference in Callaway, MN. JoDan Rousu: Ogema Organics. We founded it in 2016. 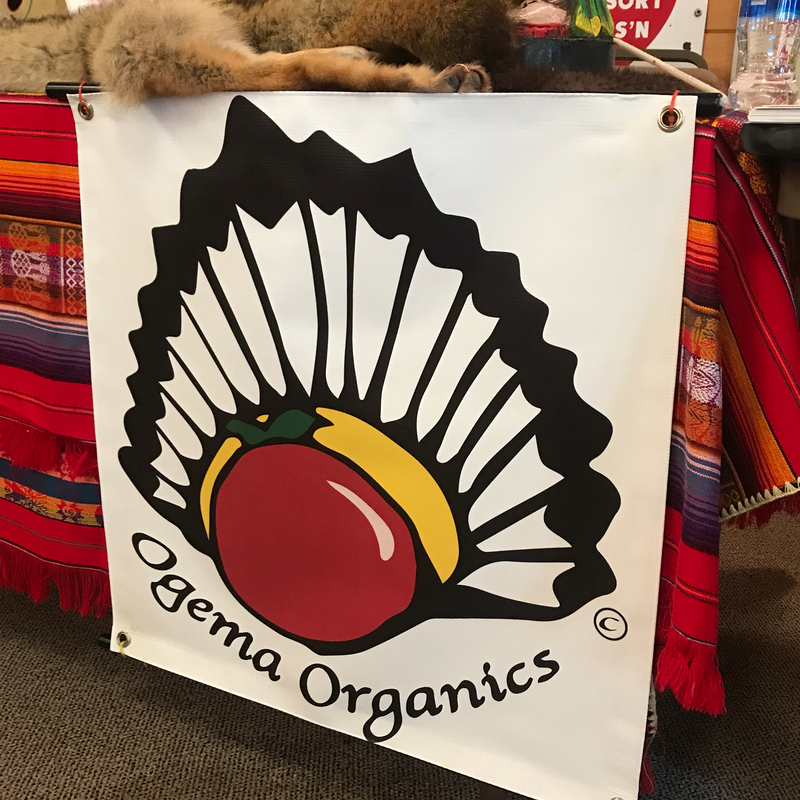 What Ogema organics is, is a food sovereignty initiative for White Earth Yeah. Leah: JoDan Rousu is the COO and founder of Ogema Organics which is working to create food sovereignty and access to more local fresh food. JoDan Rousu: Food is medicine. It was traditionally during our feasts and celebrations when, when it's time to feast the, the younger people would dish up the elders and bring them a plate. The youth are watching us. If they see us bringing a plate to the elders, they learn that, but they're watching what we put on the plate. Leah: Community is the foundation of the organization’s operation. Bridget Guiza is the CEO of Ogema Organics. Bridget Guiza: We've also intentionally been transparent with the community about our approach and our intentions and the vision that created it. But it's guided by the community. And so we do meet up informally and formally with various community members and just mentioned what we're doing and get their feedback in that way. That's one thing I want to be very clear about is that yeah, we're Ogema organics, but it's much bigger than that. Leah: For Minnesota Native News, I’m Leah Lemm. A food sovereignty initiative… grounded in community… strives to increase both food independence… and accessibility to Native foods. Coming up, Twin Cities Native Lacrosse is recruiting new players and getting the word out about the sport. Leah: 2019 marks the fifth year of existence for Twin Cities Native Lacrosse. John Hunter: Twin Cities Native Lacrosse is an organization that promotes healthy wellbeing to native families through this sport of Lacrosse. Leah: John Hunter is the founder and director of the lacrosse club. John Hunter: It was a gift from creator. And the responsibility that comes with that game has been carried on and passed on through hundreds of years. Each tribe has its own origin stories and um, specific protocols and meanings to the game. The essence of and the honor value of the game, that's the shared by all and it's been passed on teen care for so long is that this is a game that's meant to bring, uh, the community, the, the nations together. It's meant to be rigorous and, and inspiring and it's meant to heal. Leah: While in high school, a mentor encouraged John to start a team, and with help from friends, he did. And he continued to play in college. Then in 2014… John heard about a grant opportunity through the Tiwahe Foundation, so with guidance from community members and elders … John applied for and received a grant to start a Lacrosse team. John Hunter: I bought a, I think 20 sticks and made some goalposts and got two friends to help coach. And we set out just through Facebook and social media and ask the community to come and check out the game. And, uh, and that's how we got started. Leah: Now,… John wants to encourage youth, families and community members to get involved. With the emphasis that everyone is welcome and that there is a place for all. There are lots of opportunities, including skills clinics, community games, and more. John Hunter: We're doing tons of traditional hands in May we also have some things coming up in the summer, some possible tournaments. And then in fall, fall season is our big season for some modern stick youth leagues for boys and girls. So that starts right after the August, beginning of September. We're also also looking for folks that may be interested in participating in North American indigenous games. Um, next summer. That's the summer of 2020. That is in Canada. We are starting to talk about possibly how we can get a team to represent the state of Minnesota, those games. 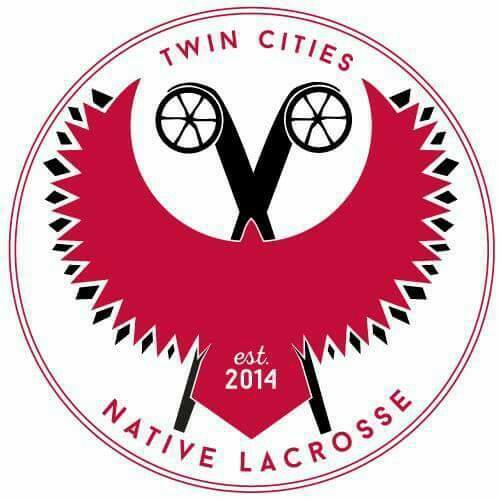 Leah: Twin Cities Native Lacrosse can be found on Facebook and is available by email tc.native.lacrosse@gmail.com. And, a food sovereignty initiative, grounded in community, strives to increase both food independence… and accessibility to Native foods. Headlines: Coming up, Twin Cities Native Lacrosse is recruiting new players and getting the word out about the sport. And, a food sovereignty initiative… grounded in community… strives to increase both food independence… and accessibility to Native foods. Here’s Leah Lemm with these stories. JoDan Rousu: Ogema Organics. We founded it in 2017 2016. What Ogema organics is, is a food sovereignty initiative for White Earth Yeah. This week on Minnesota Native News, a new team is in place to help tribal members heal from addictions and the Indigenous Students Association at Augsburg University host a pow wow how-to. HEADLINES: This week on Minnesota Native News, a new team is in place to help tribal members heal from addictions and the Indigenous Students Association at Augsburg University host a pow wow how-to. The Mille Lacs and Boise Forte Bands have a new partner in helping tribal members heal from opioid addiction. It’s called the American Indian Resource and Resiliency Team. Reporter Melissa Townsend talked the leaders on the team about their unique work in Indian country. Breanna Michels, Susan Beaulieu, and Jennifer Garbow are passionate about their work helping people heal from addiction. Their job is to work with the Mille Lacs and Bois Forte Bands on programs that support healing from addiction - for individuals, families and whole communities. Susan Beaulieu is from Red Lake. And she says it’s personal. They see addiction as a way of coping with unacknowledged loss, grief and incomplete relationships. And they lead groups, trainings and classes to work through all of that. Breanna Michels is from Mille Lacs. She leads a group called Mending Broken Hearts from the White Bison program. Susan Beaulieu says it’s liberating to understand how generational trauma has impacted your life. Jennifer Garbow says they’ll be adding one more person to make this a powerful team of four based across Northern Minnesota’s Indian country. Their work is funded by a federal grant shared by the University of Minnesota Extension and the College of Pharmacy. The grant is scheduled to end in September 2020. The Augsburg Indigenous Students Association held its 11th annual spring pow wow on March 30th in Minneapolis. The event is geared for Augsburg University students and the larger community. 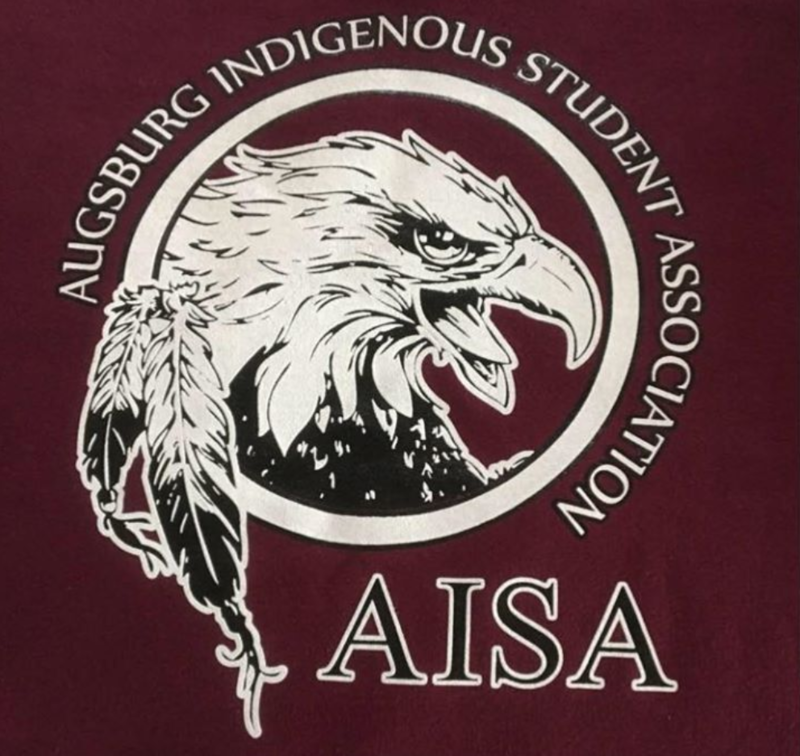 Just a few days before the event, the Augsburg Indigenous Student Association held a Pow Wow Etiquette class for non-Natives. Again, Melissa Townsend has the details. 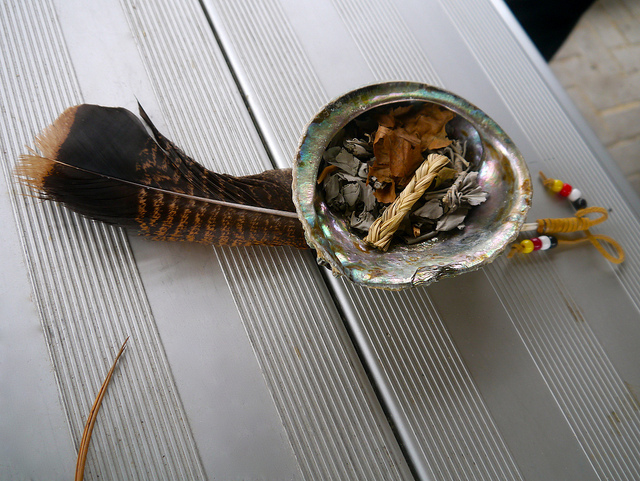 This pow wow etiquette class was the first of its kind at Augsburg. But student Arianna Antone -Remirez says that’s how they do it back home. That decision to help non-Natives understand appropriate behavior was confirmed when the online news service patch.com published a story about an incident at the Denver March Pow wow in Colorado. It featured a video of a white woman taking a bussle and dancing around with it. It wasn’t hers and she did not have permission. Someone took the bussle away from her. And she was escorted out of the pow wow. Augsburg student Christopher Oquist-LeGarde says that video had an impact. Arianna Antone-Remirez says the Indigenous Students Association still wanted to be welcoming and encourage non-Natives to come to the pow wow. The MC of Augsburg’s 11th traditional pow wow was Jerry Deerly and the host drum was the Stone Bridge Singers from Grand Portage. This week on Minnesota Native News, the passing of two powerful tribal leaders leads to new elections, and urban Native leaders in Minneapolis seek to find solutions for people facing homelessness in hopes of preventing another “tent city” this summer. HOST INTRO: This week on Minnesota Native News, the passing of two powerful tribal leaders leads to new election, and urban Native leaders in Minneapolis seek to find solutions for people facing homelessness in hopes of preventing another “tent city” this summer. Minnesota lost two formidable tribal leaders in the past month. Reporter Melissa Townsend tells us more. Terry Tibbetts was the Chairman of the White Earth Band of Ojibwe. He served 4 years in that roll and before that 8 years on the tribal council. He passed on March 17th. Gary Frazer is Executive Director of the Minnesota Chippewa Tribe and he worked closely with Chairman Tibbetts. The Grand Portage Band of Lake Superior Chippewa also lost their long time leader Norm Deschampe. He was the band’s Chairman for 35 years. And over that time he and Gary Frazer became friends. Both men will be missed by all of their friends, their families and their tribal members. Both tribes have set an election schedule to choose a new Chairman - or woman - who will serve out the rest of the current terms. In Grand Portage, the primary election is scheduled for April 29th. If no one receives more than 50% of the vote, the General Election is July 1. In White Earth, the primary election is scheduled for June 4th. And again, if no one receives more than 50% of the vote, the General Election is planned for August 6th. Last summer 300 people — many Native — were living in a tent city near downtown Minneapolis. Reporter Melissa Townsend reminds us what was happening then and asks what might be different this summer. This tent city rose up along a wall next to a 6 lane stretch of road near downtown Minneapolis. And it shined a light on the crisis created by the shortage of culturally specific affordable housing and addiction services. Joy Friedman was at the camp trying to help people who lived there. She’s from the Indian Women’s Resource Center. Urban Native non-profits, tribes, city and county agencies mobilized. They offered everything from showers and food to addiction treatment referrals and some limited housing options. Robert Lillegren is head of a group of Native leaders called MUID — Metropolitan Urban Indian Directors. He describes their approach at the time. The ball did get rolling. Minneapolis Mayor Jacob Frey committed to find shelter for every person at the camp. FREY: Housing is a right. It should be a right for everyone and the city is moving forward in an aggressive fashion to make sure everyone is able to be delivered that right. Eventually the Red Lake Nation offered a piece of land in south Minneapolis and the city and county built a temporary homeless shelter there. It opened in December. It’s called a Navigation center. ?It’s a shelter with support services. But it was always intended to be temporary. In fact, it’s scheduled to close this May. So over the past few months Robert Lillegren’s group has been talking with people living at the Navigation center. So they can be part of a plan for what happens when it closes. But Lillegren says until recently, there were no planning conversations between city, county and tribes that involved MUID leaders. So they Lillegren and his group wrote a letter asking to be involved. And it looks like they were heard. Lillegren says there is a lot of public will to do something constructive but he cautions in his experience government moves slowly. And there is a chance that this summer may look a lot like last summer. Minnesota Native News: What Will You Do for the Water? This week on Minnesota Native News we get the latest on legal maneuvers to stop the Line 3 oil pipeline replacement and Sharon Day remembers the beloved Grandma Josephine Mandamin [men DAH mIn] who led the first water walk on Turtle Island. Deliberations over the Enbridge Line 3 oil pipeline replacement are inching forward. Ojibwe tribes and environmental groups recently filed a petition arguing the state Public Utilities Commission or PUC needs to reverse its course. Melissa Townsend has the details. The petition comes from the Red Lake Nation, the White Earth Band of Ojibwe, Honor the Earth and the Sierra Club. They say PUC Commissioners made legal errors when they granted Enbridge Energy Company the Certificate of Need to build the Line 3 replacement pipeline. They argue the commissioners should have ordered a survey of culturally significant sites along each of the possible pipeline routes. That way everyone would know which route is least disruptive to the culturally significant areas. They also argue PUC Commissioners did not follow Minnesota laws regarding documenting the need for more crude oil. According to Minnesota statute, Enbridge management must demonstrate that future demand for crude oil will increase —which would be why we need a new, larger oil pipeline. The company did not do that. Instead, Enbridge lawyers provided an analysis of future supply. Meaning, they forecasted how much crude oil they could be able to pull out fo the ground, but that’s not the same as how much consumers will need. which makes the case against a new bigger oil pipeline from Canada. The PUC Commissioners will rule on all these arguments in the coming weeks. In 2003 a small group of women walked around the whole of Lake Superior in prayer for healing the water. That very first water walk was led by elder Josephine Mandamin. She went on to lead over a dozen water walks and inspire countless others to do the same. On Friday February 22 Josephine Mandamin passed away. Melissa Townsend talked about Josephine with her friend Sharon Day. In 1998, Sharon and Josephine were part of the same Mde lodge near Bad River Wisconsin. That spurred Josephine to make a plan to walk around Lake Superior in prayer. The idea is that each step you walk is a prayer of gratitude and healing for the water. 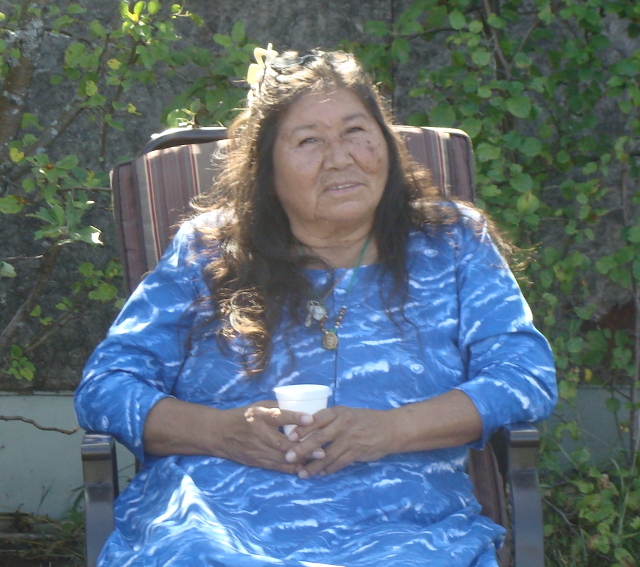 Sharon Day was inspired by Josephine Mandamin and has led a dozen of her own Nibi walks. Josephine Mandamin’s last water walk in 2017 retraced the Ojibwe migration from east coast to the midwest. It was nearly 2000 miles and it lasted 97 days. Right around the day that walk ended, Sharon began her own walk following the Missouri River. She started out west in Montana. Now that she’s gone, many will feel the loss but Sharon says they will continue with their work for the water. For more information about Josephine Mandamin you can find videos on youtube by film maker Jeff Bear. And there’s a children’s book about her called The Water Walker written by Joanne Robertson. February fourteenth is a day dedicated to remembering Missing Murdered Indigenous Women, Girls, and People. Marches and gatherings happen all around the state, the US, and Canada. Data reveal the murder rate of American Indian/Alaskan Native women is almost 3 times that of non-Hispanic White women. 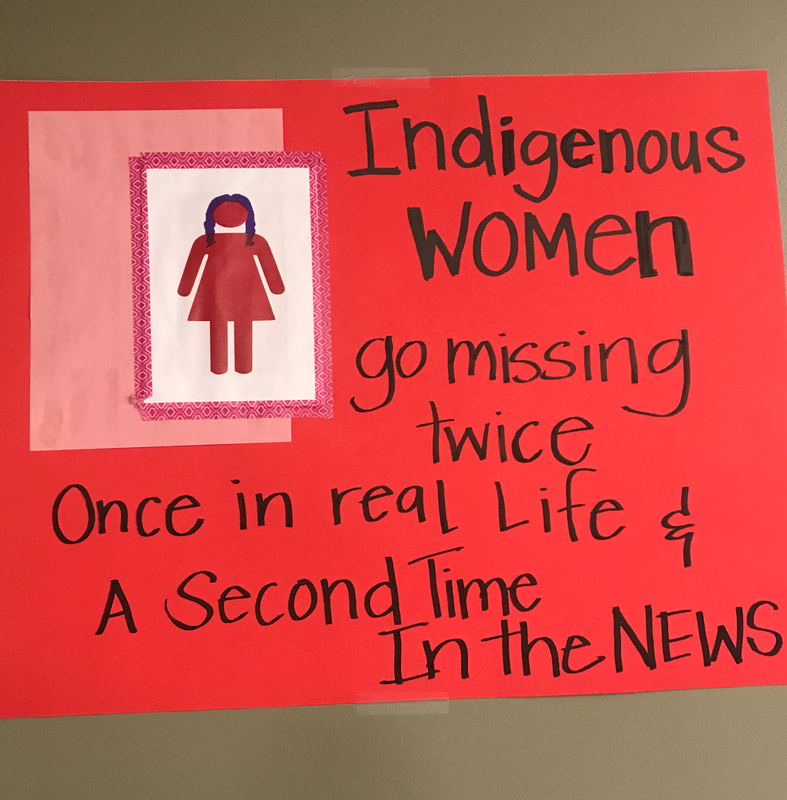 And Minnesota is one of the top ten states in the U.S. with the highest case number of Missing and Murdered Indigenous Women and Girls. Reporter Leah Lemm attended the solidarity walk in Bemidji. Headlines: February fourteenth is a day dedicated to remembering Missing Murdered Indigenous Women, Girls, and People. Marches and gatherings happen all around the state, the US, and Canada. 5 degree temps and snowy, gusting winds didn’t slow down the energy as walkers honored and raised awareness for missing and murdered indigenous relatives in Bemidji. GOODWIN: This is our third year doing the solidarity March here in Bemidji. REPORTER: Audrianna Goodwin is one of the co-organizers for the march. GOODWIN: Since 1492 indigenous women and peoples have been raped, murdered, and kidnapped that astounding rates. About 20, 30 years ago is when these marches first started happening is when indigenous women were like, hey, we're going missing at alarming rates. So that's when they started organizing on Valentine's Day - to signify the love and to honor the loved ones that are missing and murdered. REPORTER: Raised above our heads were hand-made signs, red ribbons, and a red dress. We trekked just over half a mile and my winter boots filled with snow. ANDERSON: It's what we do. It's worth it. REPORTER: Cindy Anderson worked in the domestic violence and sexual assault field for decades. ANDERSON: Society tends to not want to spend a lot of time dealing with that. I think it's really important that time and attention is given to the people that lived through that. REPORTER: And we were there to do just that. After the walk, we collected in the Beaux Arts Ballroom on the Bemidji State University campus. The entire room stood in line to shake the hands, one by one, of those who lost family members. Among the many being acknowledged was Ramona Dunn. DUNN: My daughter was murdered in 2011. Kandice Dunn. She was my only daughter, mother of two - little boy and a girl. She used to work for the Leech Lake ambulance. she just started a job there prior. Her ex boyfriend broke into house, our house and shot. Her kids were in the house. REPORTER: Kandice was 22 at the time, and Mona was living in Green Bay. DUNN: When I heard about this, I was almost eight hours away, so that's the longest I ever cried back here. REPORTER: Mona now cares for and has custody of Kandice’s children. DUNN: The little boy was just five months old, so I became his mother. But my granddaughter remembers her. She always tells me, Oh, I miss my mom, you know, but she's happy now and she's glad to be with me. REPORTER: Brian Ibarra moved to Bemidji from Oklahoma in October so this was his first year at the march. IBARRA: I love it. It's a great way to bring the community together here in Bemidji, which is a great town in a lot of ways. I do find there's a lot of underlying racism in this town, just beneath the surface. And so to have these sorts of gatherings, it's really important to put it all out there. REPORTER: Brian was also one of the hands I shook that day. IBARRA: I’m here on behalf of my mother Sandra Henman, who was murdered in 2014 by her boyfriend. REPORTER: Part of the program was the debut of a new song for Missing and Murdered Indigenous Women by Mark R Kingbird Sr. He is a cultural mentor in Red Lake. KINGBIRD: I was approached to make this song. They wanted a song that was made from someone from our area. I wanted to make a song that lifts people up, and have that powwow style. It gets people in the mood to come out and dance, and to feel good, and to think about these women. REPORTER: As I leave you with an excerpt of Mark’s composition, I want to thank those who shared their stories with me. A native film festival has returned to the Walker Art Center for its second year of showcasing film that looks to the past, present and future to tell the stories and truths of native peoples. 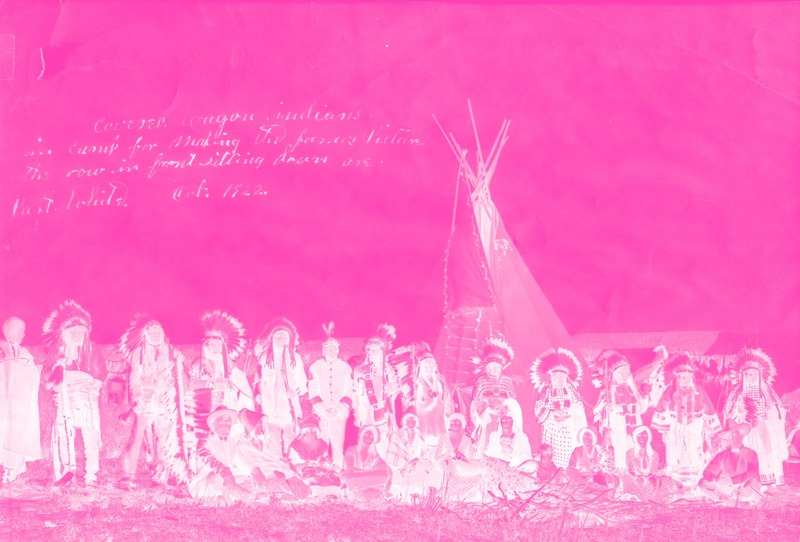 the past, present and future to tell the stories and truths of native peoples. MISSY WHITEMAN: This year we're, we're picking it up again to continue that legacy and to also acknowledge, you know, that history that native film has here in the twin cities. MARIE: This week, we sit down with co-curator (and filmmaker) Missy Whiteman to discuss INDI-genesis: GEN2. Here’s reporter Cole Premo. It’s an incredibly snowy day, and traffic is picking up outside the Walker Art Center in Minneapolis. I meet Missy Whiteman at the art center’s Esker Grove restaurant, set on the first level with large windows facing Loring Park, the entire space glowing from the white snow reflection. I’m here to talk with Missy Whiteman about the return of a film series that showcases native-made films. But it’s much more than just a film series. MISSY: My name is Missy Whiteman and I belong to the northern Arapaho and Kickapoo nations, northern Arapaho from the wind river reservation in Wyoming. And then kickapoo from Oklahoma. The 4-week-long INDIgenesis: Gen2 film series begins in mid-February, and features vintage films, like 1923’s The Covered Wagon, as well as new films like 2018’s Falls Around Her, featuring the iconic native actress Tehn-too Cardinal. I asked her how the films were selected. MISSY: We don’t necessarily look at the “It” director … We really look at it as, you know, how his film representative of native life and being indigenous and in also like looking at it from a cultural perspective, whether it being a full film like "edge of the knife", which is an entire indigenous language or whether it be, you know, opening night with covered wagon, which you know, is the first western. Missy Whiteman actually has a deep family connection to The Covered Wagon, which will be presented a bit differently at the film series for the first night. MISSY: Actually in this film, um, we're weak recontextualizing that film and we're adding a life score to that because that film is closely related to my family. And so I have great grandparents that are in that film that I have direct descendants too. Our family has photographs from that set and so that's going to be a part of the evening. Aside from powerful feature-length movies, documentaries will play a big part in the film series, including Warrior Women. It tells the story of native mothers and daughters fighting for native rights in the American Indian Movement, also known as AIM. The screening is also a chance to honor those Warrior Women. Minnesota connections abound in the film series, in all categories. MISSY: We have Levi Corbine, he's actually from the blacks reservation and he produced Shinob 1 and we'll be screening that within native shorts. And then, um, we will also have locally produced films, youth films here we have in progress and we just are adding some of the Little Earth, a youth collective films to the media tech which will run all month long throughout the series in the small little theater next to the main theater near the main lobby. And while traditional feature-length movies and short films are great, some of the featured projects really push the boundaries of filmmaking. Like, Biidaaban: First Light: An Interactive Virtual Reality Installation. MISSY: I can't give it away. But it's really about a different realms. Overall, Missy Whiteman says it’s more than a film series. It’s about not only teaching native youth the ins-and-outs of filmmaking, but inspiring them to create and tell their own story. MISSY: It is like everything that I do, everything that I create, whatever it is, it always. This is like the people that came before us, you know, our ancestors and then who's following, you know, those are always what we have in mind and who's going to carry her legacy forward. And that's, you know, our future generations. The film series begins Feb. 15 and runs for 4 weeks. We couldn’t get to all the projects featured, so check out more on the Walker Art Center’s website. I’m Cole Premo. Jill Fish is one of the only Native doctoral students in the psychology department at the University of Minnesota. But she doesn’t feel alone, because her work connects her to the Native community. Laurie Stern has more. 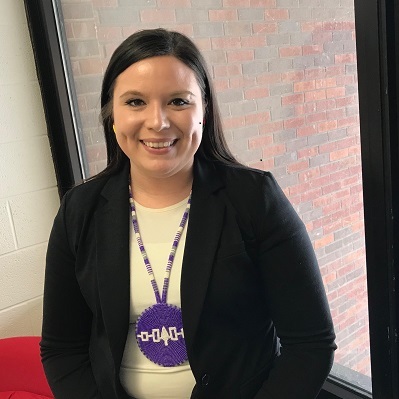 This week on Minnesota Native News, we talk to state legislator Mary Kunesh-Podein, who is Dakota, and hear about legislation she introduced to create a task force to address the issue of missing and murdered indigenous women and girls. Here’s Cole Premo. INTROS: This week on Minnesota Native News, we talk to state legislator Mary Kunesh-Podein, who is Dakota, and hear about legislation she introduced to create a task force to address the issue of missing and murdered indigenous women and girls. Here’s Cole Premo. As awareness of this issue affecting native women and girls continues to grow, so does the support seen in the United States government, particularly here in Minnesota. The issue is missing and murdered indigenous women. And a new report is calling it a nationwide crisis. The report, which was released in late-2018, is from the Urban Indian Health Institute, a Seattle-based tribal epidemiology center. Some of the staggering figures it highlights is that numbers show murder is the third leading cause of death among American Indian and Alaska Native women. There were over 5,700 cases of missing and murdered indigenous women and girls reported in 2016, but only 116 of them were logged into the Department of Justice database. In addition to the shocking high numbers of Native women missing or murdered… The study also uncovered great difficulties in accessing data on this type of crime. The UIHI says many records were not provided in a timely manner and law enforcement agencies sometimes provided confusing or incomplete records. Others charged fees the institute did not have the budget to cover. That means the 506 unique cases it found in its data collection from 71 cities nationwide likely underrepresents the actual figures. And race is often not registered in state crime databases, or it’s misclassified. Adding to the problem is that many of these stories are not being told in news coverage, the report says only 5 percent of the cases were covered by national or international media. So, in addition to raising public awareness of the issue, the report makes a plea for fe deral law enforcement to track and report data. And for native people’s voices to be heard. That brings us to Minnesota state legislator Mary Kunesh-Podein. She represents District 41B, which includes Columbia Heights, St. Anthony Village and parts of New Brighton. She’s also Dakota and has a personal tie to this issue. The task force Kunesh-Podein mentions is a bill she has introduced to the Minnesota legislature. 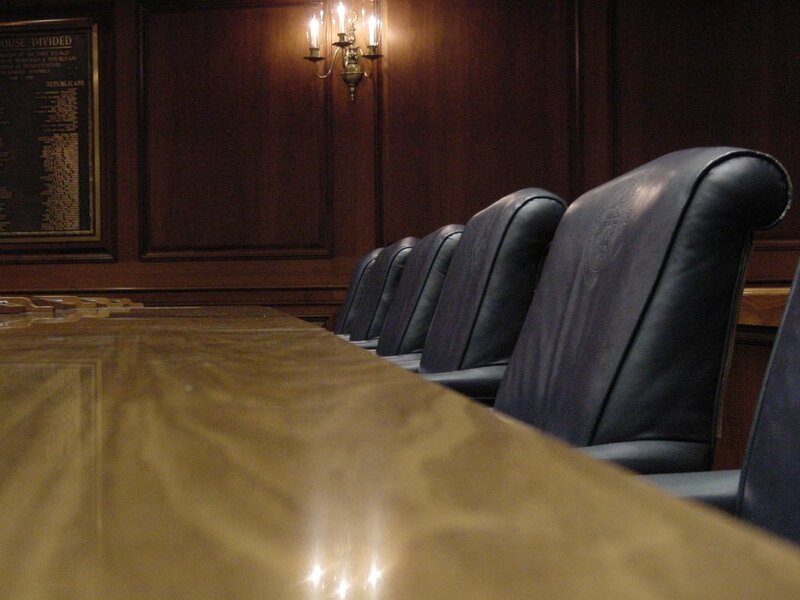 It creates a task force committee that will consist of lawmakers on both sides of the aisle. MARY: [13:26] That's part of the task force is to listen to the stories, to listen to what's happening and have an understanding of, of this historical trauma. [13:55] Yeah. And so that's, that's what the listening sessions will be about. It’s part of a drive, nationwide, to get lawmakers to hear native stories, and native solutions. And it has growing support, including the Lt. Governor Peggy Flanagan, who is the first Native American woman to serve the position in Minnesota. MARY: [18:11] I know both she and governor walls mentioned it on their campaign, um, their campaign trail called it out and said how important it is that we study the violations against our indigenous communities. Uh, I know that both of them have personally told me that they support this bill. I will be meeting with the governor, a liaison from the governor later on today to discuss this bill. And so we're, we're very, very optimistic. Rep. Mary Kunesh-Podein hopes to have the senate approve the bill and the bill signed by Feb. 14th, which is the day of the missing and murdered indigenous women's march in Minneapolis. By the way, there’s much more information in the Urban Indian Health Institute’s study. I only scratched the surface. The study is called “Missing and Murdered Indigenous Women & Girls, A Snapshot of data from 71 urban cities in the United States.